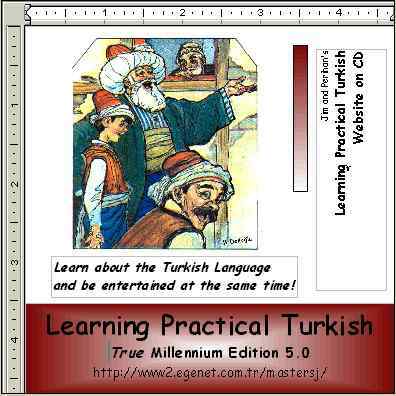 Learning Practical Turkish -- Edition 5.0 (celebrating our 5th year of operation) is more than 8 times larger than the online version! It contains all the on-line material found in the most current website update (as well as the exclusive, complete, and updated material from all previous CD Editions) plus many exclusive new CD Edition 5.0 features... including almost 800 voice recordings (compared to about 190 recordings on-line) and the full version of our action-packed Multi-Media Ottoman Empire Encyclopedia at more than 240 cross-referenced and cross-linked pages (compared to about 30 pages on-line, with only limited sound and cross-referenced linking) that you can use off-line, at your leisure, without an Internet connection -- and that has been stripped of commercials! For Windows 95/98/ME/2000 -- and coming soon for Mac systems running OS - X! Only $20 plus Shipping and Handling. We extend sincere thanks again to 'old' Turkish friends like TaskIn �alI, Yesim B�y�kbur�, and Nursen �etin...and to new ones like �etin K���k and Mehmet Doktan -- for their hefty contributions in helping prepare this giant-sized new LPT Edition 5.0. You ladies and gents are just great! with a mind-numbing introduction from Marvin and Mabel. In addition, we continue our coverage of those ever 'practical' Turkish idioms...So, we hope you'll gravitate to the Turkish Idioms, Letter 'G' page, which you'll find linked together with a new Rest of the Idiom Story page. 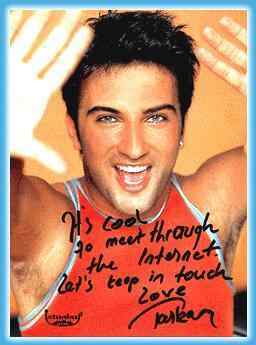 And if you're a Turkish music fan, we're sure you've heard of... Tarkan !! Our original Turkish Food page. Plus we've added a supplemental regional page that starts by featuring the food of the Adana Region. Stay tuned for additional food regions in upcoming editions. Additionally (after the excruciating 'discussions' we had about them with TaskIn �), we hope you'll be delighted with the 5 new and interesting Verb Conjugations (with copious usage examples) that we offer you. LPT's Edition 5.0 -- this one from our Hoosier friend Mike Thomas. It's a pre-loaded Interactive Turkish Dictionary for Windows (that tips the scales at nearly 5 MB) which is likely to please -- and come in very handy too! We'll keep you posted as to when Mac's OS-X will be available. Please remember that our CD contains the full version Multi-media Encyclopedia -- which now exceeds 240 pages of fully cross-indexed material. on the 'you know what' page. You'll notice too that we've increased our on-line voice recordings library by more than 40%. That makes about 190 voice recordings on-line (compared to more than 675 on our CD) -- but as usual we've rotated out more old recordings to make way for the new ones...BTW you may need to upgrade your *free* Real Audio software in order to hear some of our latest vocal offerings (Drop us a line if you need help). But when you do, we hope you'll be pleased with the new sound files you'll find on our pages for Turkish Food, Essential Headwords, Verbal Nouns, Terms of Endearment, Everyday Phrases, Mediha HanIm's Turkish Library, Business and Economic Terms, Ottoman Empire Encyclopedia, Internet and Computers, Idioms -- G, Idioms 'Z'. Penultimately...we've added even *more* book links. 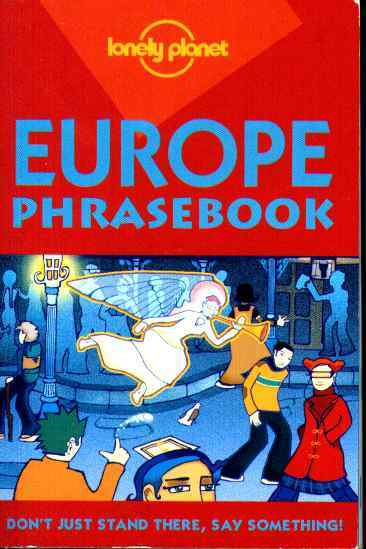 Of possible interest is another of our collaborations for Lonely Planet Publications, the Europe Phrasebook -- February 2001 (in collaboration with 13 other authors -- covering the many languages of Europe... Basque, Catalan, Dutch, French, German, Greek, Irish, Italian, Maltese, Portuguese, Scottish Gaelic, Spanish, Turkish, and Welsh.) It's the third time the book has been printed, but the first time our work has been included. Just click one of the logos... if you'd like to check it out.